Hope all of you are having a great weekend. Stacking the Shelves is a weekly feature by Tynga's Reviews where you get a chance to share the books you have bought or borrowed for reading. 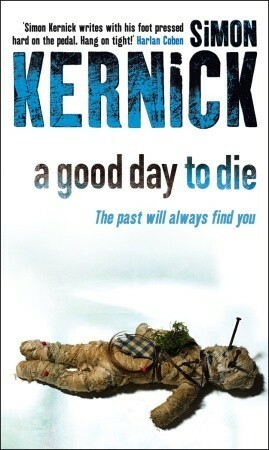 It's cold, it's December - and ex-cop Dennis Milne is intent on revenge. His best friend has been brutally executed, and Milne wants to know who did it - and why. But London is a dangerous place, especially for a man on his own. And although his former colleagues don't know Milne's back in town, it soon becomes clear there are people who do. And that they'll stop at nothing to get him out of the way. From the beaches of the Philippines to the mean streets of London, a hunt for justice becomes a terrifying battle for survival. This one sounds intense and has a great cover. I hope you enjoy it. Come see what I got this week at Inside of a Dog and Ms. Martin Teaches Media. Happy reading! It's a great book. I'm enjoying reading it. Ooh, I've never heard of this one, but it certainly sounds interesting! The cover and title are very striking, too. Thanks for taking time reading my post. Have a great week! It's not scary. It's a mystery/thriller and worth reading. Thanks for stopping by, Charlotte.